Following Thursday's earthquake, there are no reports of damage at Toyota's Miyata assembly plant, in Fukuoka prefecture on Japan's western island of Kyushu, nor at nearby engine and transaxle plants, a spokesman said. TOKYO -- Toyota Motor Corp. and Nissan Motor Co. have suspended production at two plants that export Lexus and crossover vehicles after a strong earthquake in southwest Japan damaged two factories at a key supplier. A body part factory and die-casting plant, both operated by Toyota group supplier Aisin Seiki, were damaged in the magnitude-6.2 quake on Thursday that killed at least 10 people and injured hundreds. Aisin Seiki spokesman Masayuki Toyama said no workers were injured in the quake. The plants make sunroofs, door frames, door handles, and other body parts as well as cast-metal engine parts. Both factories are located in Kumamoto city near the epicenter of the quake. 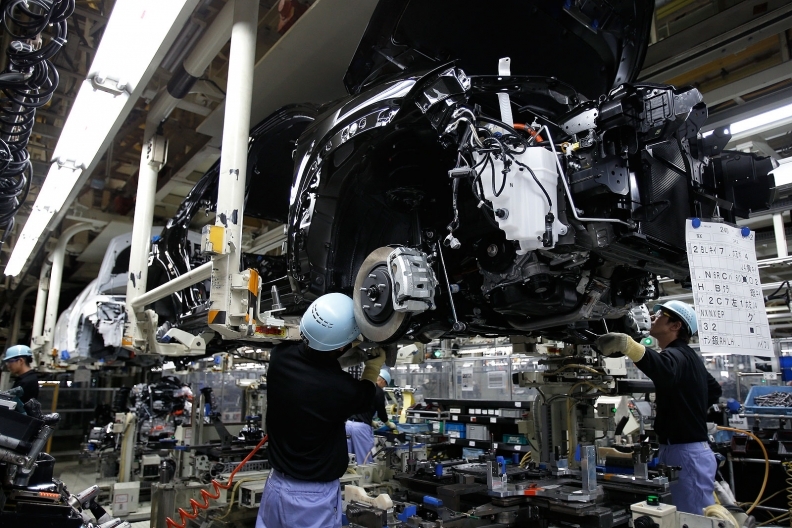 The plants supply local assembly operations of Toyota, Daihatsu and Nissan. Toyota briefly stopped production in Kyushu at the time of Thursday's quake but resumed the second shift as normal. Nissan Motor Co., which operates an assembly plant near Toyota’s in Fukuoka, continued output after the quake and was operating as normal on Friday, a spokesman said. The X-Trail is called the Rogue in North America.